Objection 1. 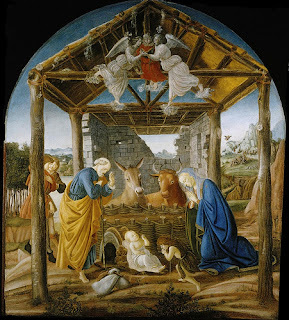 It seems that the evening our Lord and Savior Jesus Christ was born could not have been so "silent" after all. We know that the cattle were "lowing," whatever that means (we're just theologians, not farmers; theology is queen of the sciences, not animal husbandry) and this noise was sufficient to awaken the Christ child from slumber. Objection 2. Further, an infant roused on the middle of a cold night by barnyard animals must have been disturbed enough to cry; I mean, cows are scary enough in movies, but imagine if one were breathing down your neck because you're occupying her feeding trough. The Episcopal Church (of the United States) has welcomed Karl Barth. Sort of. How will he return the favor? 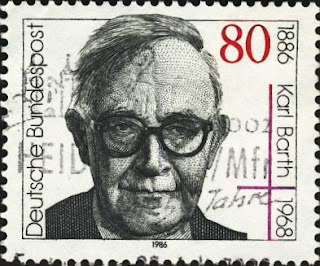 Today is Barth's 47th death anniversary of Karl Barth, an event the Episcopal Church -- my denominational home -- now marks in its daily liturgical calendar. In point of fact, he shares a death anniversary with Thomas Merton (see this post ), so celebrants of weekday services have to choose which of these towering 20th century Christian thinkers to commemorate. Without conducting a formal poll, I'm going to hazard the guess that most celebrants chose the American Trappist over the Swiss dogmatician. Merton certainly is fascinating and worthy of the honor; it's rather a pity one must choose. The Mission of St. Clare offers a superb website for those who wish to read the Daily Office according to The Book of Common Prayer. That website opts for Merton over Barth. DET readers are occasionally treated to reflections on or pertaining to Wolfhart Pannenberg, perhaps more recently when contributor Derek Maris wondered about “Pannenberg’s ‘Supposed’ Hegalianism.” There’s even a mini-series of admittedly dubious value buried among the other DET Serials. So it is fitting that we gather together and harken unto Diller as he raises the question of Pannenberg’s criticisms of Barth’s fideism. Kevin Diller, Theology’s Epistemological Dilemma: How Karl Barth and Alvin Plantinga Provide a Unified Response (IVP Academic, 2014), 72–73 (italics is original; bold is mine). Read More Kant, for Barth's Sake! I noticed a neat feature while working through Luther’s commentary on Romans – Luther offers a one-sentence summary of each chapter of the epistle! I’ve always appreciated this sort of exercise. Back when I was precepting at Princeton Seminary (i.e., leading weekly small-group discussions), I did something similar with Gregory of Nyssa’s Great Catechism . . . although I freely admit that my exercise was arguably not as compelling as Luther’s. But I think this way of sketching a text helps give you a sense of the text as a whole while at the same time orienting you to each part. It also teaches you to think in terms of the progression of an argument. So, given that I find such things so useful, I thought that I would share Luther’s with you, gentle readers.